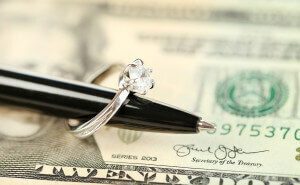 One decision couples getting married face is whether to sign a prenuptial agreement or not. A prenuptial agreement can streamline the process and division of assets in the event the couple ever heads down the path of divorce. A prenuptial cannot anticipate or protect against everything, however. First, if the couple has children during the marriage, child support is often something that cannot be negotiated. Any judge will make sure the child is protected and provided for, despite a prior agreement between the parties. Second, spousal support may be changed despite the prenuptial agreement. If the spouse who would receive support does not have enough assets or income to provide for themselves, spousal support can and will be awarded to ensure that party can be self-sufficient. Prenuptial agreements may be thrown out in their entirety if the judge finds one party was coerced into signing the agreement, or there was fraud on the part of one party in revealing the extent of his or her assets. If you have questions regarding your prenuptial agreement or are thinking of drafting one, be sure to contact our Wheaton family law attorneys to draft an agreement that will stand up in court.